Make your workouts more effective and boost your calorie burn with this Heavy Duty Fitness Weight Loss Sweat Sauna Suit Exercise Gym Anti-Rip Silver ,2 Piece Suit. Designed for both men and women who are serious about improving fitness or losing weight. 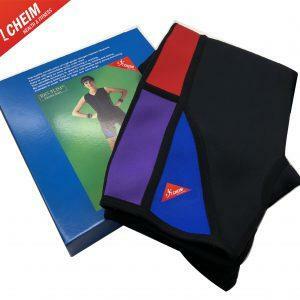 The special fabric helps retain heat to keep muscles warm and limber, and boosts your core temperature to burn even more calories with every step. 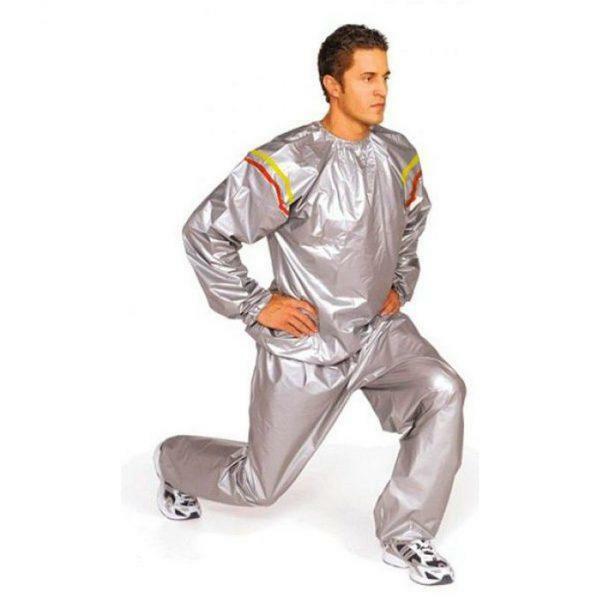 In addition, wearing the Sauna Suit during exercise can help you shed water weight and eliminate toxins from your body, too. 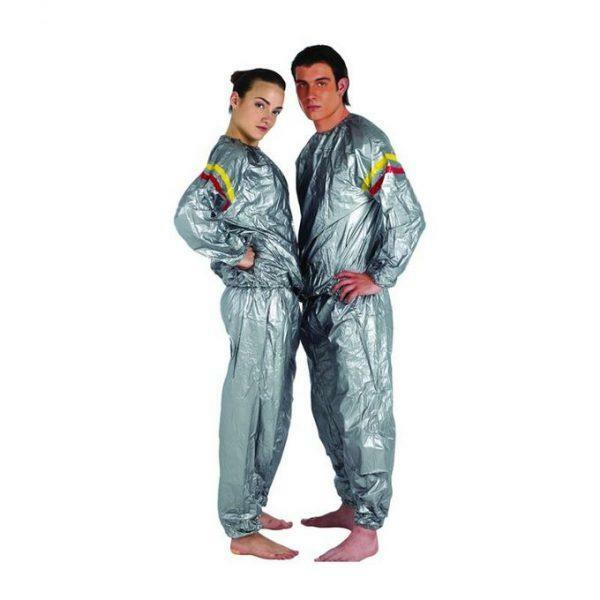 Sauna suit, material made from PVC, with good quality. 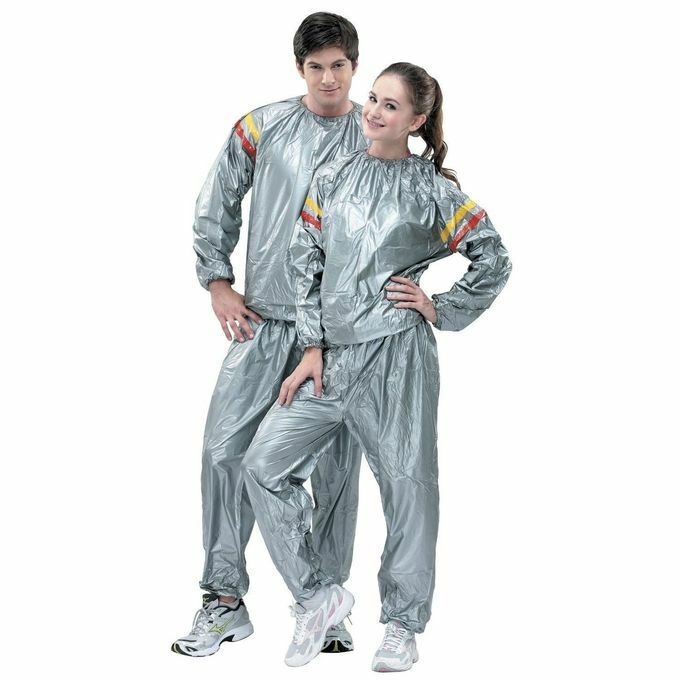 Durable and high quality sweat suit; Waterproof and windproof, protective. Accelerate the fat burning and make you slim. 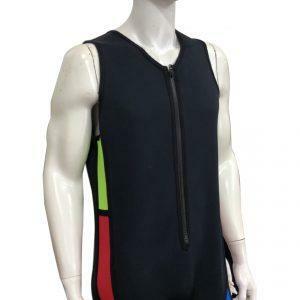 Suitable for helping loss weight, outdoor sports, such as running, jumping, cycling and playing balls etc. Great value for money. 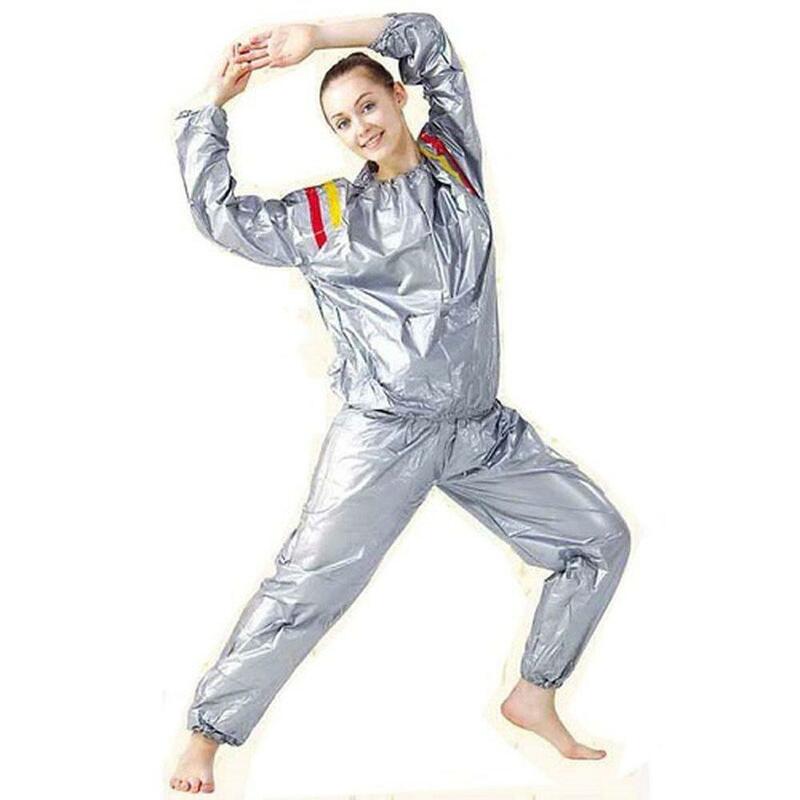 Features a comfortable pullover top and pants have a loose, relaxed fit with elastic at the waist, wrists and ankles. Great to wear before any upcoming event where you are looking to shed some pounds. Now you can look and feel great! Hand wash. Imported. Do not iron. Do not place in dryer.